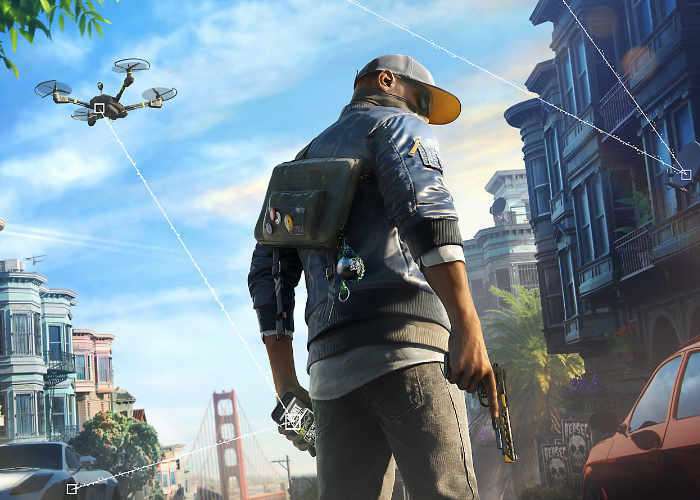 Today the new Watch Dogs 2 Human Conditions DLC has been made available on the PlayStation 4 allowing those on the PlayStation platform to sink their teeth into the new content, a month in advance of those on PC and Xbox one. On March 23rd the new Watch Dogs 2 Human Conditions DLC will be made available for Xbox One and PC players and brings with it five hours of gameplay and adds elite co-op challenges, the new hack-proof Jammer enemies, and three new multi-mission Operations (Bad Medicine, Automata, and one Ubisoft’s keeping secret) to the storyline. The Elite Co-op challenge is a brand new harder mission designed to be a lot more challenging than the one in the base game. In this new challenge, DedSec is trying to learn more about, and stop, a new group of hackers called Hooks. They are making deals with criminal groups all across the bay, and they are packing a punch! Unlike regular co-op missions, they take place in much larger parts of the world, blurring the lines between the open world and the mission area. They also combine multiple objectives spread throughout several zones, bringing more than 10 new mission objective combinations for these areas, and more than 30 new locations! They will also include the new enemy archetype, the Jammer. They are compatible with our Guest mode, which allow the DLC owner to invite a non DLC owner to join Elite missions (and mayhem) for free.